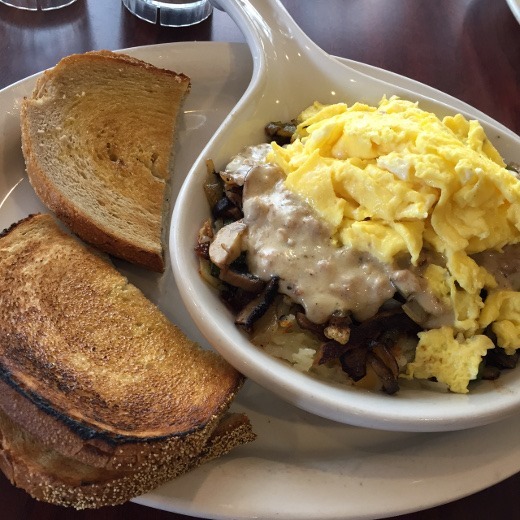 One of my favorite dishes at Nick’s is the Dixie Skillet, consisting of a layer of hash browns, topped with mushrooms and onions, topped with sausage gravy (!!! ), topped with two eggs cooked to order. I like my eggs scrambled, and somehow have never learned to embrace the fried egg. 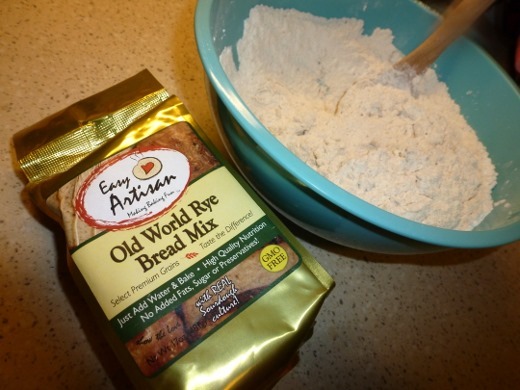 Plus lots of buttery rye toast. I had this brunch two weeks ago, for Valentine’s Day. After brunch, we explored a new-to-us discovery in Ann Arbor – the Creature Conservancy. Each Saturday afternoon, the Conservancy opens to the public to share their rescued animals with the public. Each month a different animal is featured on the main stage and the staff give a presentation with the featured animal. When we visited, the starring animal was a two-fingered sloth, Poco. 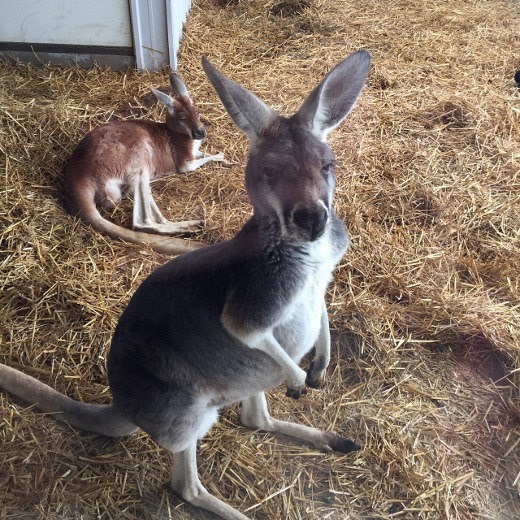 Somehow, the only picture I captured during our visit was of this skeptical kangaroo. The Creature Conservancy is definitely worth a visit – we’re happy to have discovered them! 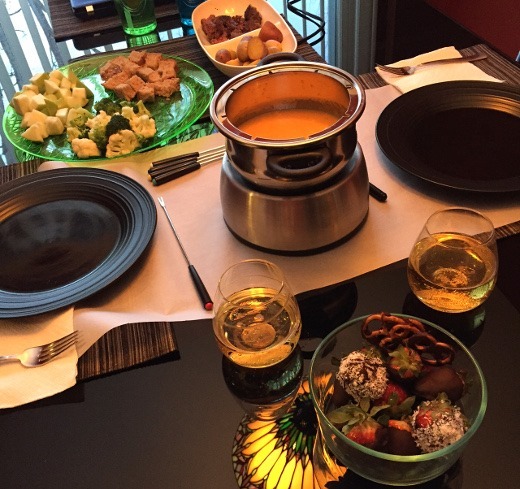 Like last year, for Valentine’s dinner we again made cheese fondue at home. We tried a different cheese fondue recipe this year, since we didn’t love the one we tried last year, which was more of a Swiss cheese and white wine concoction. 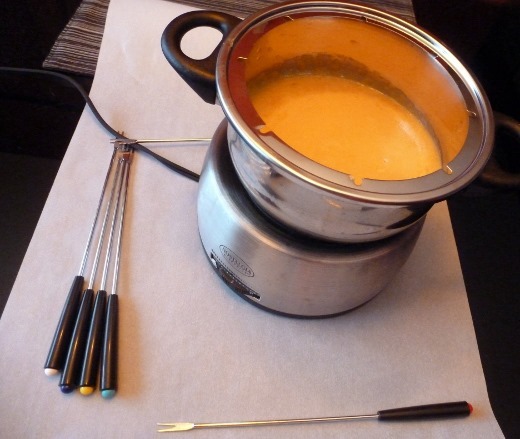 This year, we made a cheddar cheese fondue, which also featured a little Swiss cheese, using this recipe. [Chicken broth substituted for Coor’s Light. Coor’s Light is disgusting. But I bet actual good beer would be great in this recipe too.] 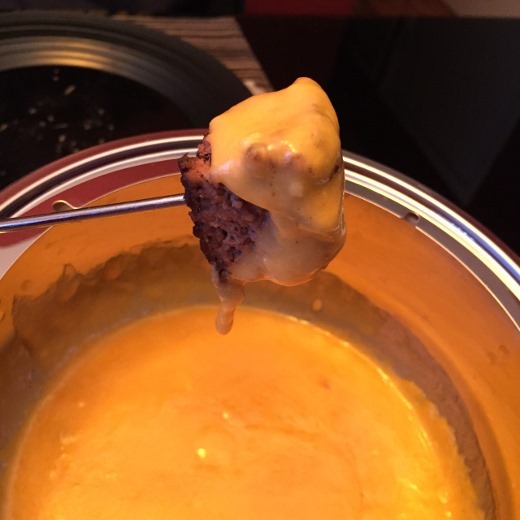 We liked this cheddar fondue a lot better than last year’s. We also stepped up our dipping game this year, with broccoli, cauliflower, granny smith apples, homemade bread, cooked potatoes, and cooked and diced hamburger patties. The apples and bread are my favorite dippers. No kneading! 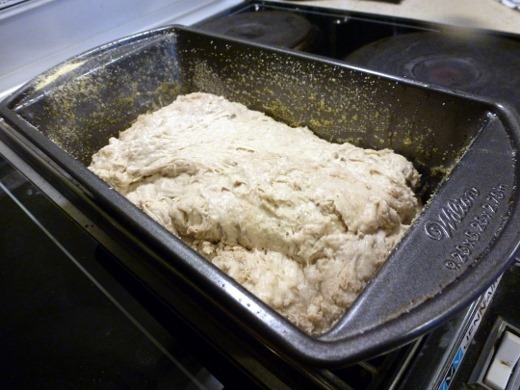 Just mix dry mix with warm water, cover, and leave to rise in a warm spot before transferring to loaf pan and baking. 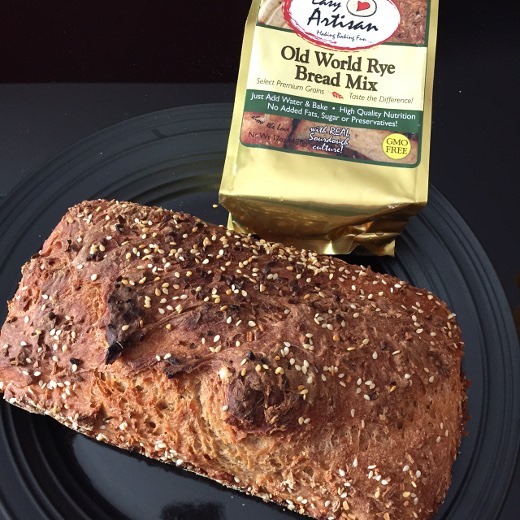 This bread was delicious. 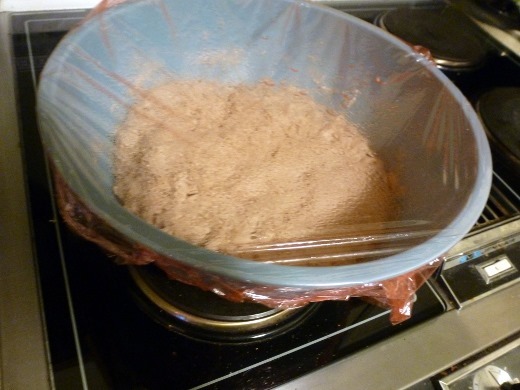 Next time I’ll mix in some caraway seeds. Hope your Valentine’s Day was lovely as well.